Our weather stations provide long-term, stand-alone monitoring of meteorological parameters for all types of agricultural research applications. Programmable data loggers allow multiple options for station configuration, measurement and output intervals, and data retrieval. Almost any meteorological sensor can be used including: wind speed, wind direction, solar radiation, air temperature, water temperature, soil temperature, relative humidity, dew point, precipitation, leaf wetness, and barometric pressure. Wind vector, vapor pressure, histogram, and sample on maxima or minima are standard in the data logger instruction sets. Data are typically viewed and stored in the units of your choice (e.g., wind speed in mph, m/s, knots). Pre-programmed stations calculate potential evapotranspiration using the Penman-Monteith equation; other evapotranspiration algorithms can be entered if preferred. Our evapotranspiration stations help provide an accurate method of estimating crop water needs to eliminate under- and over-watering, which saves money and improves crop quality. These automated stations calculate ETo using the Penman-Monteith equation. The output provides daily estimates of water needs. Our low-cost, preconfigured station calculates ETo from a reduced set of sensors. Our stations are based around state-of-the-art instrumentation that features proven reliability, even in harsh environments. Most telecommunications and onsite communications methods are compatible with our systems, including phone (land-line, cellular, and voice-synthesized), radio, short haul and the Internet. Our flux systems can measure atmospheric gradients or vertical turbulent transport directly. Standard systems that support either aerodynamic or Bowen ratio gradient techniques are available for measuring heat, water vapor, and CO2 fluxes. 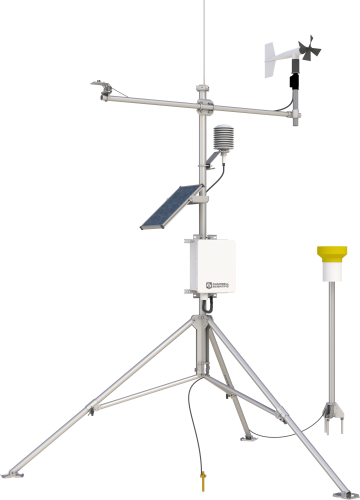 Our standard eddy covariance systems use our three-dimensional sonic anemometer and either our open-path krypton hygrometer or our open-path H2O and CO2 analyzer. 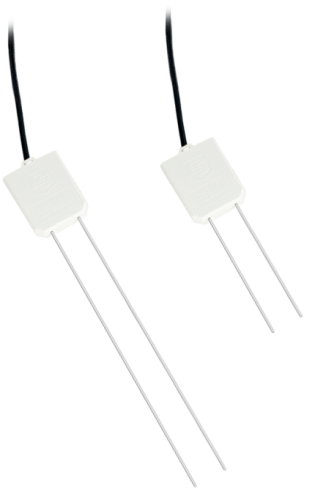 We can measure nearly every commercially available soil sensor, including tensiometers, heat flux plates, thermocouples, psychrometers, lysimeters, and gypsum blocks. Our soil water instrumentation is used extensively to monitor soil water content and soil water matric potential. Our time-domain reflectometry (TDR) systems provide accurate, reliable measurements of soil volumetric water content and bulk electrical conductivity in soils over a wide range of textures and soluble salt concentrations. 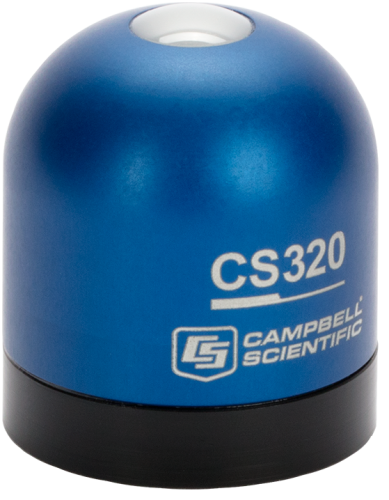 We offer both long-term, multi-point (up to 512 probes) systems and a portable system for instantaneous soil water content readings. 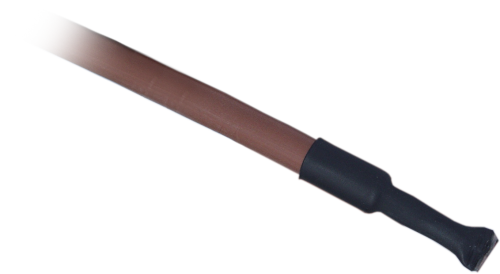 Our sensors that measure soil water matric potential use heat dissipation and electrical resistance methods. Soil moisture sensors also provide water management information. They can be added to weather/evapotranspiration stations or used independently. For portable water content measurements, the hand-held HS2 HydroSense® II probe can be easily carried from site to site and provides instantaneous soil water content readings. All of our measurement systems are based around programmable data loggers that measure the sensors, then process or store the data. We designed our data loggers to allow a high degree of flexibility. Measurement types, scan rates, and recording intervals are all programmable. On-board processing instruction sets contain programmed algorithms that process measurements and output results in the desired units of measure. Our data loggers can also control external devices, such as valves and samplers. Most sensors, even those made by other manufacturers, interface directly to our data loggers. Sensors used in our agricultural research (micromet) systems include sonic anemometers, hygrometers, fine wire thermocouples, and open path gas analyzers, and closed path gas analyzers. We offer multiple communications options for data retrieval; options can be mixed within the same network. Telecommunications options include landline telephone, voice-synthesized telephone, cellular telephone, radio, multidrop, short-haul, and satellite. On-site options include storage module, PDA, and laptop computer. Our systems can be configured to provide accurate, stand-alone monitoring of greenhouse or growth chamber conditions for use in agricultural and plant physiology research applications. Programmable data loggers allow multiple options for system configuration, measurement and output intervals, and data retrieval. A variety of sensors can be used including: solar radiation, temperature (air, water, soil), relative humidity, dew point, leaf wetness, and barometric pressure. Data are typically viewed and stored in the units of your choice. In addition, the system can easily be configured to monitor electrical power or water usage to provide data on consumption. The system can also be programmed to sound audible alerts or call out via voice synthesized modem if alarm-level conditions are reached. Most sensors, even those made by other manufacturers, interface directly to our data loggers. Sensors used in our agricultural research (micromet) systems include sonic anemometers, hygrometers, fine wire thermocouples, and open and closed path gas analyzers. We offer multiple communications options for data retrieval; options can be mixed within the same network. Telecommunications options include telephone (landline, voice-synthesized, cellular), radio, multidrop, short-haul, and satellite. On-site options include storage module, PDA, displays, and laptop computer. The following is a list of companies that have developed expertise in our products and provide consulting, installation, and other services for agriculture and plants applications.